If you’re in the market for a car the provides unrivaled freedom, look no further than the new Lexus IS 250c convertible in London, Ontario. Why the IS 250c? 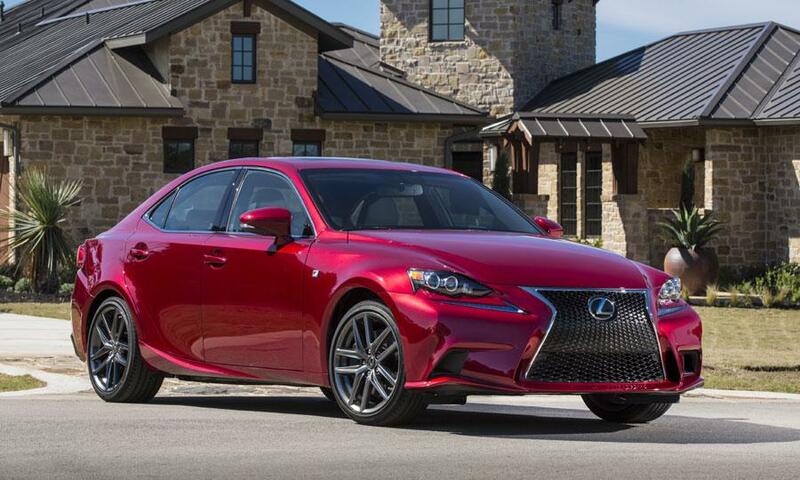 Because nothing matches the luxury of a Lexus, especially that of the IS 250c. Whether you’re trying to take in some sun, or dealing with less-than-perfect weather conditions, the new Lexus IS 250c convertible in London, Ontario, has you covered. With the hard top in the up position, enjoy a level of comfort, luxury, and sporty-handling that you won’t find in the competition. And when it’s time to bring the top down, you can just sit back and enjoy the fresh air. 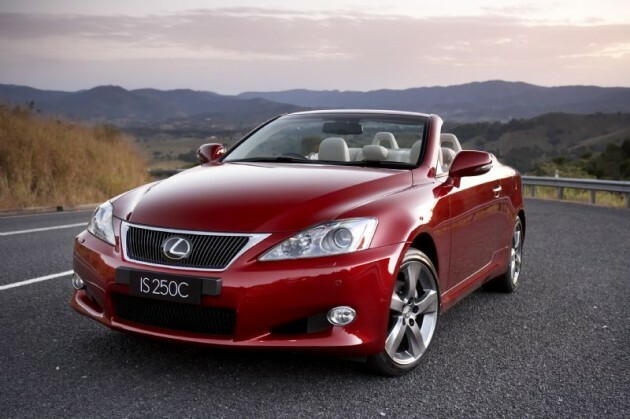 Are you ready to find out for yourself why reviewers such as Edmunds are praising the new 2014 Lexus IS 250c convertible in London, Ontario, for its sleek luxury and enjoyable ride? 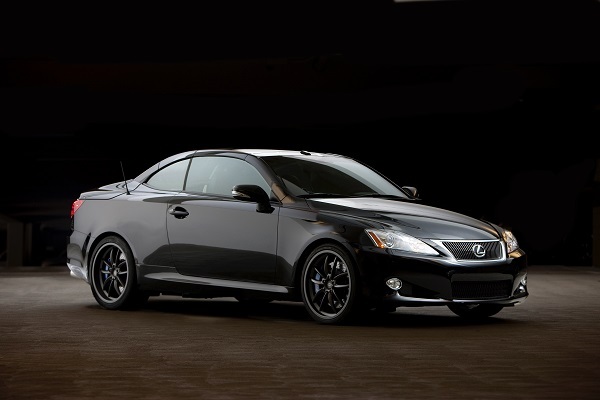 Then visit Lexus of London today to test drive the IS 250c from the best selection you’ll find anywhere in the region. Contact Lexus of London online, or call (888) 691-8453 to schedule a test drive of the new 2014 Lexus IS 250c convertible in London, Ontario, today. The 2014 Lexus IS 350c in London is not a vehicle that is content to rest on its laurels as a solid luxury sedan among Lexus’ acclaimed lineup of automobiles. Instead, the 2014 Lexus IS350c is poised to take on such competitors as the BMW 3 series and Cadillac ATS – and it’s more than a match. 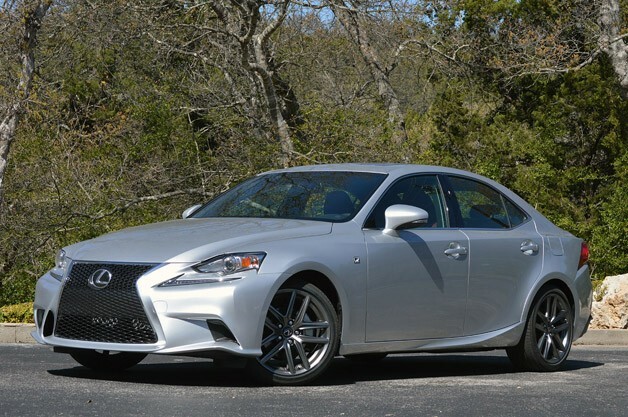 Drivers looking for the pinnacle of luxury sport sedan design need take note: there’s a new name in luxury, the 2014 Lexus IS. And with its 350c Convertible variant, it’s a difficult one to ignore. 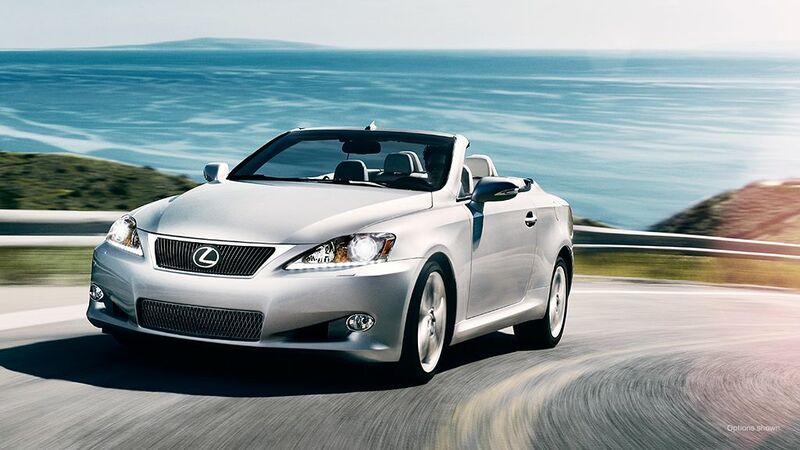 The convertible of the Lexus IS model lineup, this model calls out to the true romantics among us. The drivers who delight in the thought of cruising along a sunny Mediterranean coast even while navigating our Ontario winters. These daydreams are brought a little closer to reality by the 2014 Lexus IS 350c, with its exceptional hardtop to hold the elements at bay, preserving your bayside dreams even on the coldest nights. Don’t put your daydreams on hold! 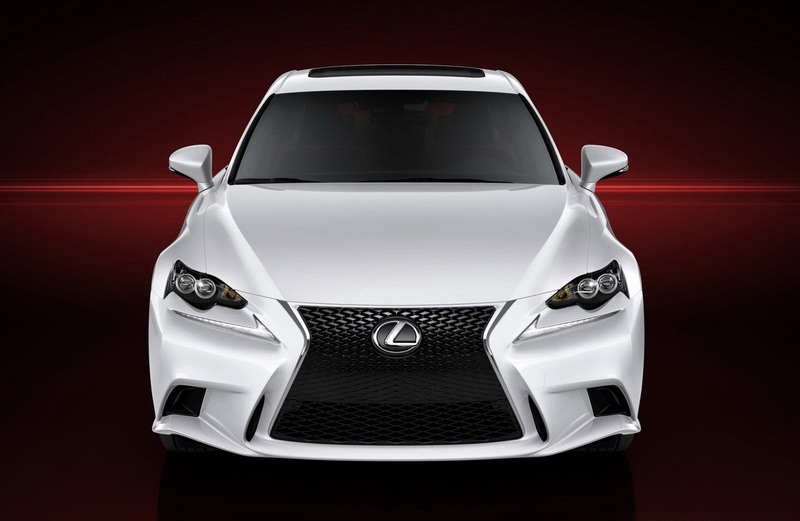 Come and explore the full lineup of new 2014 Lexus IS 350c, Lexus IS 250, and the sleek and sporty Lexus IS 350 F Sport here at Canada’s #1 Lexus dealer by DealerRater reviews, Lexus of London. Our sales personnel are equipped with all the knowledge and expertise required to help you find the new luxury sport sedan in London with the packages and options best-suited for your particular needs. If you’re looking for a new luxury sport sedan near London, Lexus of London invites you to review the expansive line of Lexus sport cars available at our Lexus dealer in London, including the Lexus IS 250 and Lexus IS 350. 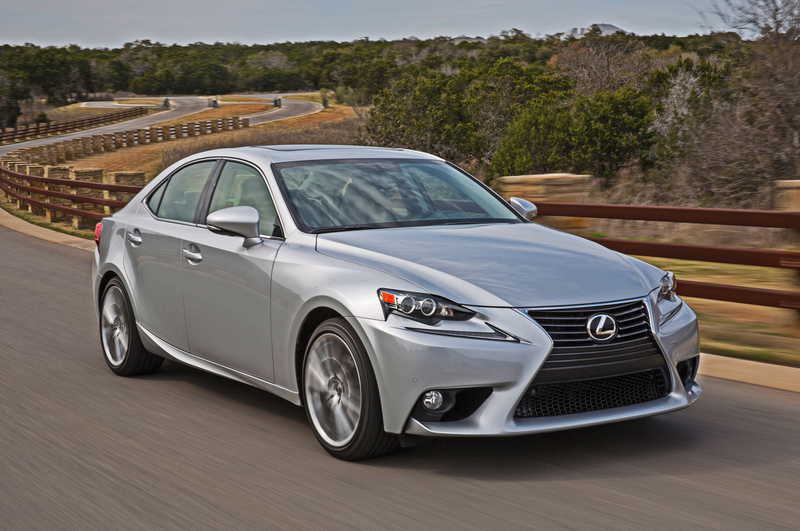 What’s it like to drive the 2014 Lexus IS 350, a powerful and popular Lexus sports car near London, Kitchener and Windsor? Here’s a POV first drive review – if you have headphones, you’re going to want to use them. Under the hood of this Lexus Sports Car near Windsor, you’ll enjoy the power and performance of a powerful 306 horsepower 3.5 liter V6 engine. With a 0-60 time of 5.8 seconds, this new Lexus sports car outpaces many of its competitors, and the new Lexus IF has also shown to have superior road grip, giving you a more agile and exciting performance driving experience. Are you ready to explore our vast inventory of new Lexus sports cars in Kitchener, London, and Windsor, including the Lexus IS F-Sport? Don’t delay! Our sales personnel are equipped with all the knowledge and expertise required to help you find the new luxury sport sedan in London, along with the packages and options best-suited for your particular needs. Whether you’re looking for a Lexus sports car in London that’s small and sporty, comfortable and safe, Lexus of London will ensure you drive home in a 2014 Lexus IS that meets your budget and needs, while placing a smile on your face and bringing exhilaration to your driving experience. Contact us online or call (888) 691-8453 to schedule an appointment at Lexus of London, ON, serving Kitchener, Windsor and all of Ontario — today. If you’re looking for a new luxury sport sedan near London, Lexus of London invites you to compare the newly redesigned 2014 Lexus IS 350 vs. the 2014 BMW 335i M Sport and the new Cadillac ATS 3.6. The competition between this trio of high-end sport sedans is tight, but here at Lexus of London, we spy some key differences that has the new Lexus IS Sport leading the pack. Below are some of the most important advantages of the Lexus IS vs. one its most popular competitors, the BMW 335i M Sport and Cadillac ATS 3.6. 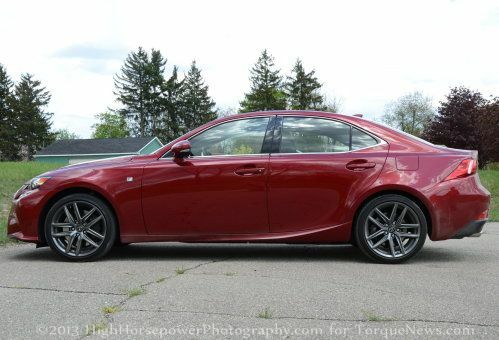 Though both of these sport sedans have powerful engines, only the 2014 Lexus IS 350 and its powerful 306 horsepower 3.5 liter V6 engine bests the BMW’s 300 horsepower inline-six. 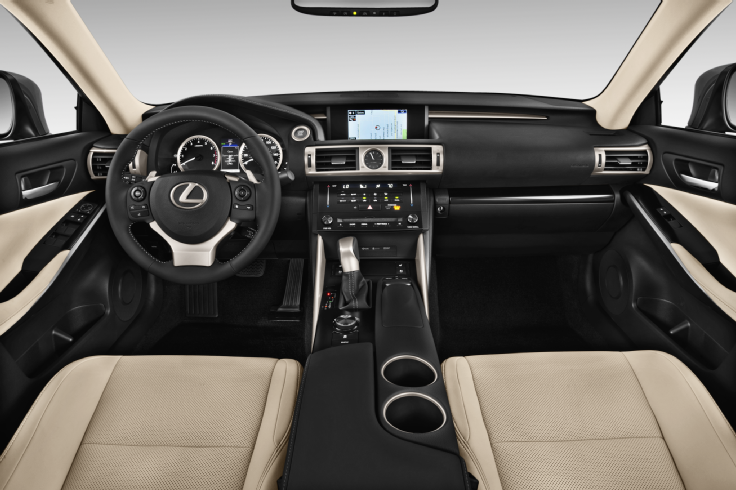 The 2014 Lexus IS 350 also tops the BMW 335i in terms of interior space, offering more overall interior volume both in the front seat and trunk space – and that’s to say nothing of price. 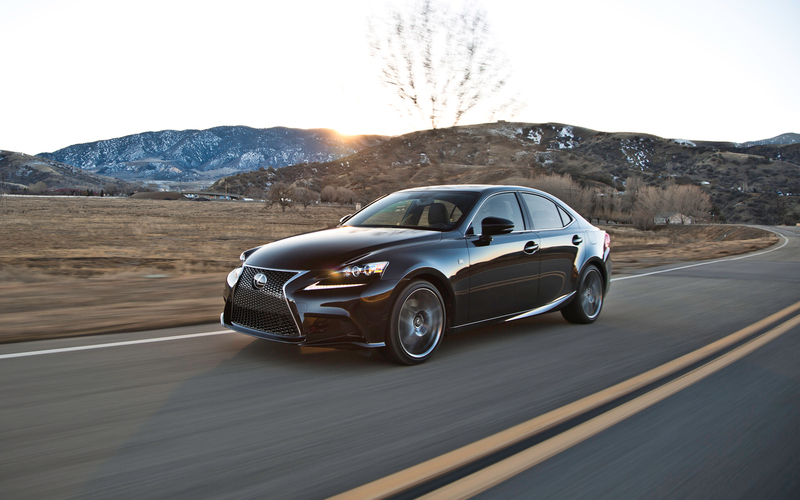 Comparable trim options on the 2014 Lexus IS 350 clock in at thousands less that what you’ll pay for a BMW 335i. When comparing the 2014 Lexus IS 350 F Sport with the new Cadillac ATS in London, we found that the Lexus is both faster and more comfortable than the Cadillac. With a 0-60 time of 5.8 seconds, the new Lexus IS Sport beats the Cadillac’s time of 6.2 seconds handily, and the new Lexus IF has also shown to have superior road grip, rating .91 g vs the Cadillac’s .85 g on a 200 foot diameter skidpad. This means you’ll enjoy a more agile and exciting performance driving experience in the IS F.
However, speed and grip aren’t everything – and not only does the new 2014 Lexus IS 350 F Sport have it where it counts under the hood and where the rubber, proverbially and literally, meets the road, but reviewers also found that the Lexus IS interior offered superior driver comfort to the Cadillac ATS. Are you ready to explore our vast inventory of new Lexus IS sedans in London, including the Lexus IS 250 and IS250 F Sport variants, and of course, the new 2014 Lexus IS F-Sport? Don’t delay: contact the Lexus of London Sales team now. Our sales personnel are equipped with all the knowledge and expertise required to help you find the new luxury sport sedan in London, along with the packages and options best-suited for your particular needs. Whether you’re looking for a luxury vehicle that’s small and sporty, roomy and safe, or the most powerful hybrid money can buy, Lexus of London will ensure you drive home in a 2014 Lexus IS that meets your budget and needs, while placing a smile on your face and bringing exhilaration to your driving experience.